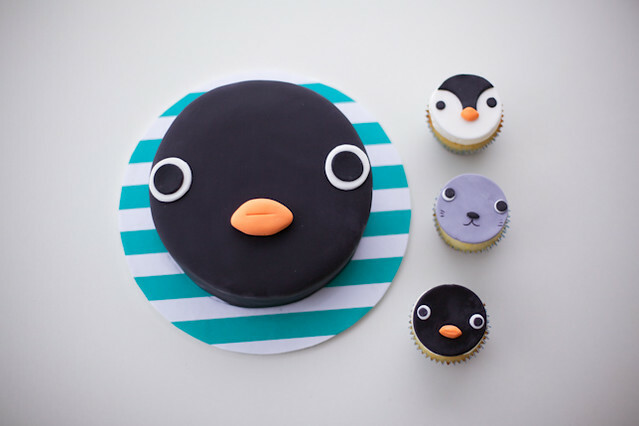 How cute are Lyndsay at Coco Cake Land's Pingu Cake and Pingu Cupcakes? As seen in the FBC Food Photography Group on flickr. So we're going to keep it relatively short and sweet this week. We actively promote all of our posts and our writers on all our social media channels. We also promote them through outside advertising and internally to all of our brand and agency partners and are constantly looking for new ways to promote our writers to the Canadian food loving public. In 2015 we will be permanently featuring our regular contributors on the FBC site with bios and links to all of their posts to make them easier for our readers to find. If you are interested in writing for us please send your pitches to Melissa. Please ensure that you include your full name, your blog name and please pitch a specific idea. If you haven't written for us before, a link or two to some of your work would be great. We are also looking for members who would like to contribute to our Weekly Menu Plan series. This is an unpaid opportunity as it's designed to showcase your blog and drive traffic back to you. If you are interested please contact Melissa as noted above. Repeat contributors are welcome. Keep your eyes peeled on social media for the #ChipitsHoliday hashtag over the next week. Not only are there some delectable recipes coming your way using everyone's favourite Hershey Chipits but, there are also lots of giveaways happening with some great Canadian blogs where you could win a big box of all kinds of Chipits flavours to help you with your holiday baking! We are always thrilled to welcome new Canadian food bloggers to our community. So a big welcome to all of you who came on board over the last two weeks! A Review of Mrs. Wheelbarrow’s Practical Pantry and a Giveaway!